Jessi's Design: WHW: At-Home Teeth Whitening: Does it Work? 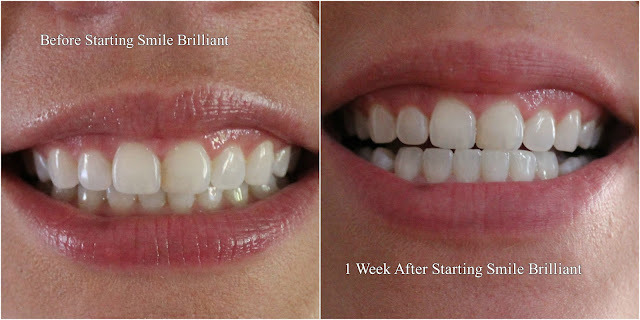 WHW: At-Home Teeth Whitening: Does it Work? Hey y'all and happy Wednesday! 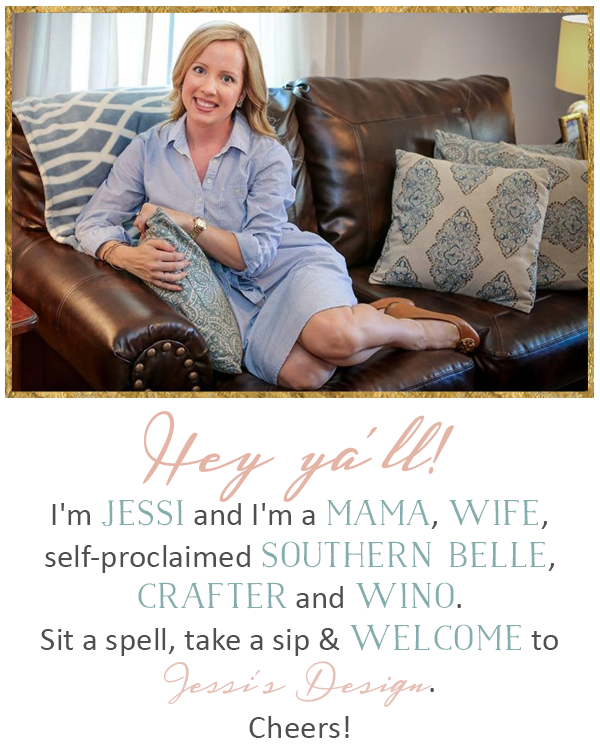 for today's WHW, I'm letting y'all in on a little pampering secret. I'm pretty sure y'all know by now my motto of "Let's drink coffee until it's socially acceptable to drink wine". There is NO shame in that game! I do, however, mostly indulge in red wine which can wreak havoc on your teeth. I've even tried the straw thing with my wine to see if it avoided the teeth a little more. (just can't get used to the straw idea, haha) I have used whitening strips before but it has been years and although I alternate using whitening and sensitive toothpastes, I knew I needed to get rid of some of these stains before they got any worse. Cue Smile Brilliant! I'd been curious about Smile Brilliant for quite some time and I love the idea that it is completely customized to your very own teeth with actual molds. How professional is that? A few blogging friends had given rave reviews as well so that was also encouraging. This is in no way sponsored y'all (when have I ever done a sponsored post?) I was given a teeth whitening kit to review and will be giving y'all my honest opinion. Also, I'm a Mom. You're probably wondering, what does that have to do with anything? Well it means you're basically constantly busy! This product was so easy to fit into daily routines and that for me was a huge plus! Another reason I love this kit is because of the desensitizing gel that it comes with. My teeth, enamel and gums are a tad sensitive usually (thanks to lots of redbull drinking I'm sure...I know I know - its terrible) and this stuff was great to have on hand. After the first use, it cut out any sensitivity for me! ENTER TO WIN or if giveaways aren't your thing - use code JESSIDESIGN for 10% off. Most of y'all have my email so feel free to send any questions my way! 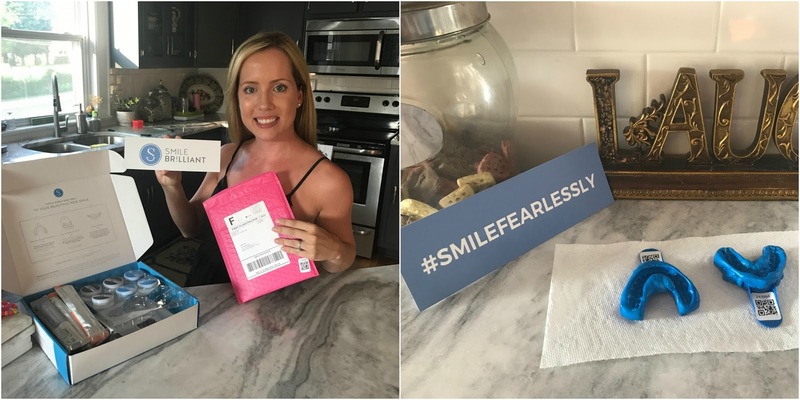 The giveaway is for a $139 Smile Brilliant credit. It is open for 1 week (7 days after blog post date) and open to USA, UK, Australia and Canadian residents. I have to use mine and write my post, ha! Wow those results are fab after only week. I totally need to try this stuff. What a noticeable change after a short amount of time! Regardless, your teeth are flawless!! I've seen so many good things about this kit!! Entered the giveaway with my fingers crossed! I have so much trouble with sensitivity so this sounds like it is perfect for me! Your results are awesome! Wow, I can't believe that you can tell a difference after only one week! I wonder how much different it will be after a month? Looks great!! I'll be starting this next week and I'm so excited to see the changes. WOW! What a difference after just a week! I started doing a charcoal scrub a couple weeks ago, and I love the results, but I hate that gritty feeling. I need to look into this! I'll never quit you red wine - I died! LOL! I'm always on the hunt for a good whitening system and I never take the plunge! Thanks for sharing and hosting a giveaway! That's a great improvement after just one week!